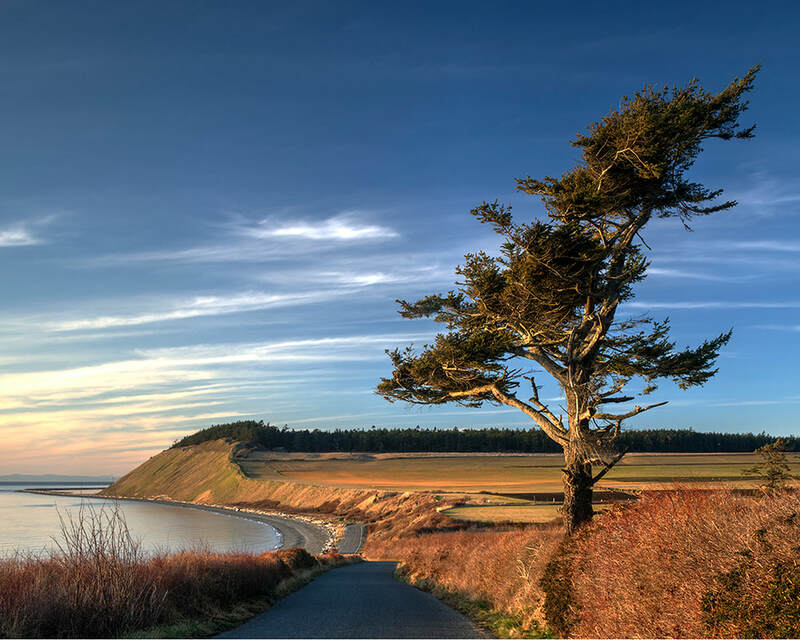 Ebey's Landing. After four years of photographing this tree, I caught the light just right. The late afternoon winter sun, low in the sky, lit the tree. The photograph is not framed or matted.